All Dragonfly instructors have a background in their discipline and experience and training in teaching those circus arts. Dragonfly takes seriously our commitment to help everyone safely experience circus arts. Lissa McLeod has been playing in circus arts for over ten years. 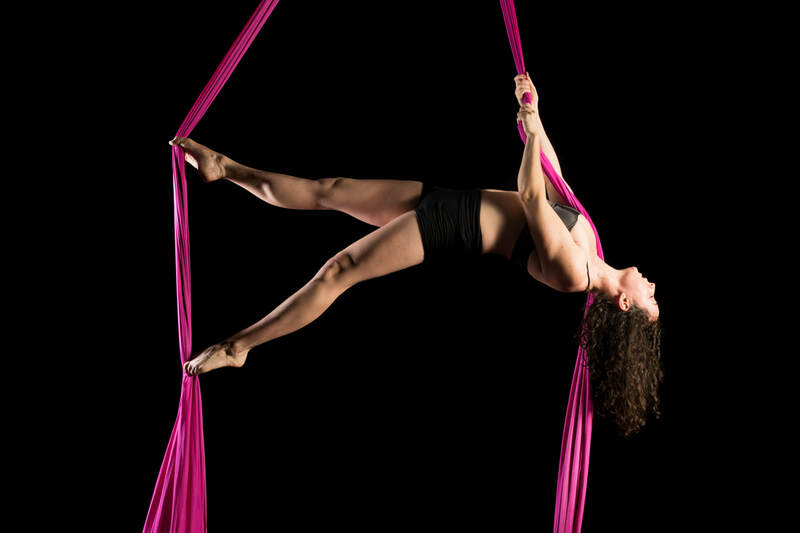 Lissa primarily teaches aerials at Dragonfly and coaches kids performance groups. Lissa has taken teacher trainings through Nimble Arts/NECCA in fabrics, trapeze, lyra and sling, including earning teacher certification in fabrics. Lissa's teachers include Elsie Smith, Molly Graves, Serenity Smith Forchion, Melissa Knowles, Jamie Hodgson, Sandra Feusi and Lauren Bruenig. Additionally, she has taken workshops with Susan Murphy, McKinely Vitale, Rain Anya, Sarah Beebe Holmes, Rebekah Leach and Girls on Trapeze. Lissa has completed training in Circus Arts Therapy with Carrie Heller, with a focus on working with differently-abled children and adults. Jake Weinstein has been teaching and performing circus arts for more than 20 years. Jake is an experienced aerialist, stilt walker, clown, juggler and unicyclist. He has trained with the New England Center for Circus Arts, the Circus Arts Institute, and Celebration Barn/Eccentric Performing, among others. Jake worked as a clown with the Big Apple Circus Clown Care Unit, and has taught circus, street theater and performing arts at public schools from New Haven, CT, to Knoxville, TN, as well as the Children's Circus at Middletown, CT, and countless circus workshops in other venues with children and adults. Katlyn Gagnier fell in love with performing arts while taking dance lessons as a kid. She made a natural and enthusiastic transition from dancing on the ground to dancing in the air in 2014 after taking her first aerials class. In addition to Dragonfly's in-house instructor training program, Katlyn has completed the nationally-recognized Nimble Arts Introduction to Teaching Aerials course. If you've seen her perform, it comes as no surprise that performance is her favorite part of aerials. She's got awesome tricks, a huge stage presence, and an even bigger smile. As a teacher, she loves seeing students learn to do something they never thought they could.